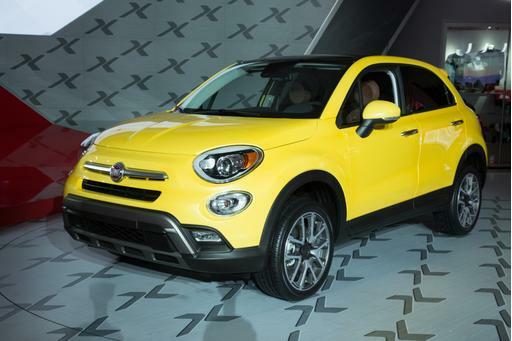 The ramp-up to the Fiat 500 has been years in the making. Fiat released the car in Europe in 2007, and speculation of its arrival came months before the Italian automaker’s June 2009 acquisition of a then-moribund Chrysler. A U.S.-bound 500 became official in 2010, and Chrysler priced it by year’s end. Now, in early 2011, we’ve driven the car that hits showrooms next month. The 500 packs fresh styling, decent value and handling dynamics that come close to the venerable Mini Cooper’s. Styled after the original rear-engine 1957 Cinquecento — “500” in Italian — the front-engine 500 bears the same beady headlights and parking lamps. Though not as affable as the Mini, the 500’s bubble-car profile and pencil-moustache expression promise distinction. That’s a considerable feat, considering the car’s small size will make it hard to see, period. Measuring just short of 140 inches long, the 500 is 7 inches short of a Cooper, though it’s a foot-plus longer than a Smart ForTwo or Scion’s forthcoming iQ, both legitimate minicars. The small footprint and a 30.6-foot turning circle (narrower than the Mini and just 1.8 feet wider than the ForTwo) should cement the Fiat’s urban credentials. Though Fiat’s 1.4-liter MultiAir four-cylinder makes a modest 101 horsepower, it moves the sub-2,500-pound hatchback easily enough. The 500 has adequate power from a standstill, and highway passing at 70 mph is workable, even with the five-speed manual in 5th gear. The optional six-speed automatic, meanwhile, serves up smooth upshifts that expose the unconventional automatics in the ForTwo and Ford Fiesta as clunky alternatives. 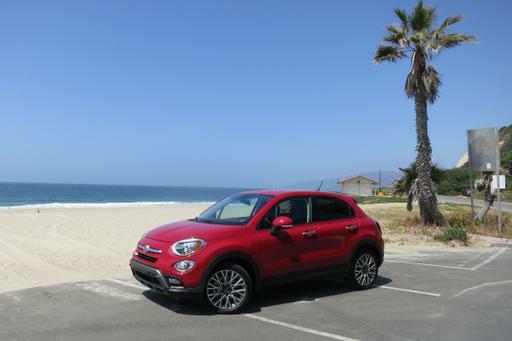 Fiat’s automatic kicks down to lower gears fast enough, with a Sport mode that calls up downshifts somewhat sooner. Interstate trips are manageable, but you won’t want to make a regular habit of them. Either suspension — the base setup in Pop and Lounge trims, or the sport-tuned suspension in the 500 Sport — settles into a firm rhythm on the highway, and the engine churns along at low rpm with a sort of agricultural coarseness. Highway road and wind noise are ever-present, and the optional moonroof’s mesh sunscreen offers zilch for noise abatement. Driving fun is where the 500 excels. Find a sweeping corner, and the car’s nose admirably refuses to push wide. The 500 is as drift-happy as the Cooper, with steering that’s nearly as quick-witted. I only wish the car cornered flatter. Fiat marketing manager Stephane Cloutier said you sit a couple of inches higher in the 500 than in a Cooper, and it shows: Pitch the car hard into a corner, and even the Sport model leans noticeably. The seats could use more lateral support for such maneuvers, and the backrests didn’t conform well to my back over my daylong stretch in the car. Cabin quality is decent, with appealing off-white paneling around major controls. (It can also come in a more conventional black.) 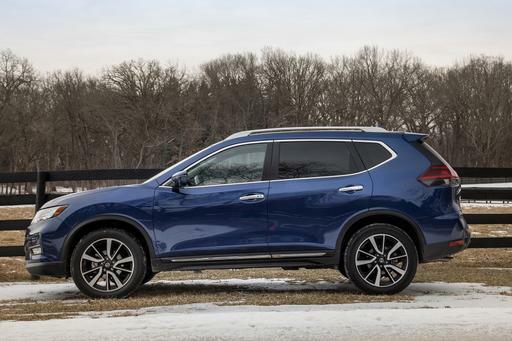 The backseat and trunk area — the latter with a smallish 9.5 cubic feet — aren’t good for much more than groceries, and occasional hapless passengers. We drove a European 500 last summer, and editor Mike Hanley suspected the car would have only niche potential. My inclination is that’s still the case. A $15,500 starting price notwithstanding, I’m skeptical all the shoppers trolling Honda, Toyota and Ford showrooms for a cheap set of wheels will rush headlong to a Fiat showroom. The car’s limited utility, so-so gas mileage (low 30s combined, Fiat reckons) and premium fuel recommendation will all hamstring its mainstream potential. 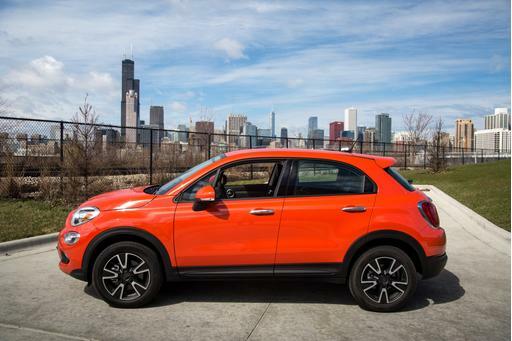 But Fiat has built a legitimate Mini alternative for thousands less, and shoppers willing to trade absolute utility for creative styling and driving fun should give the car a try. For a brand looking to get back into a market it left 27 years ago, that could signal as good a start as any. Stay tuned for a full review. For now, see the photos below.